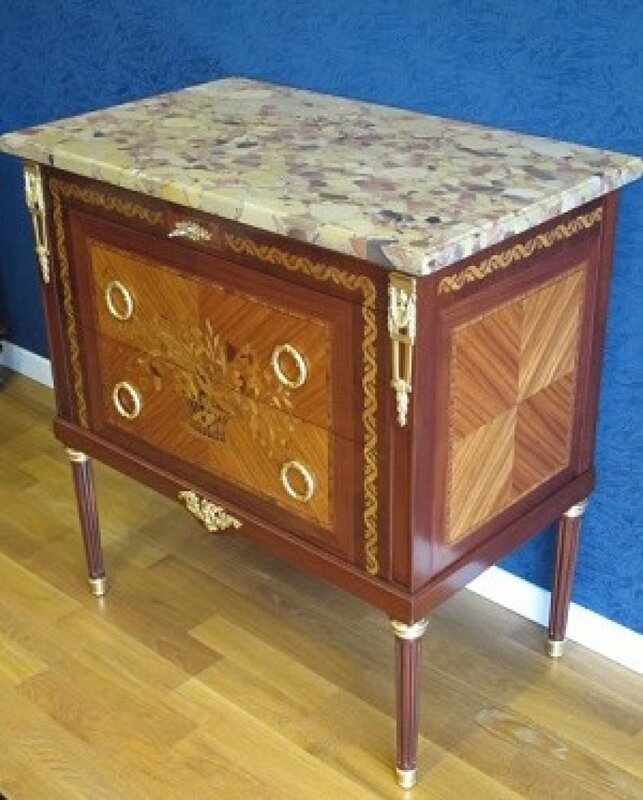 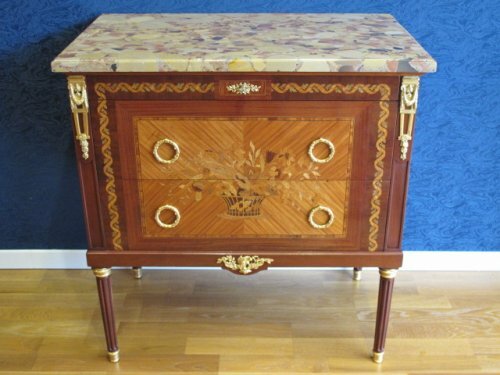 AnticStore > Catalogue > Furniture > Commode > Napoléon III > 19th century > A Napoleon III period (1848 - 1870) commode in Louis XVI style. 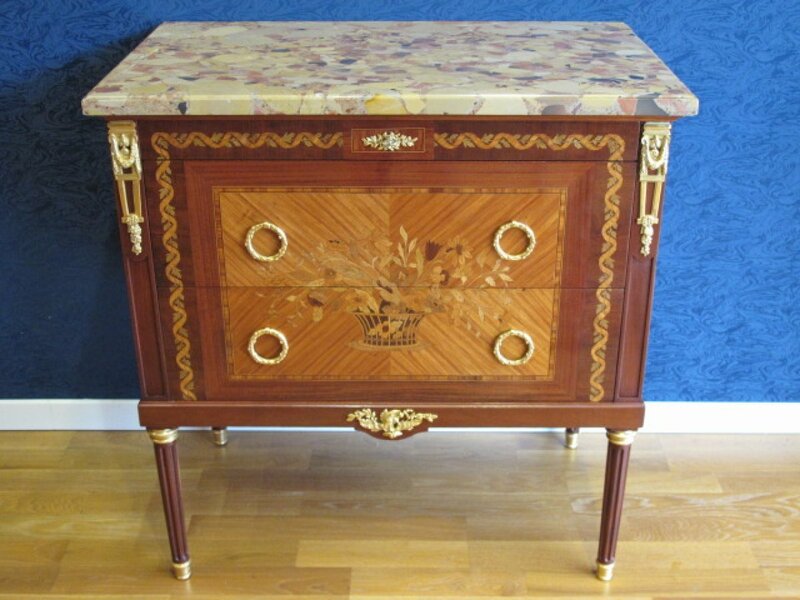 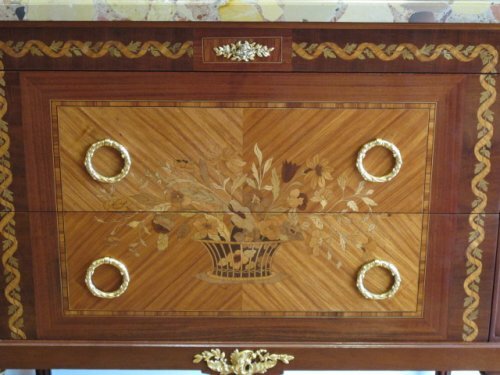 A Louis XVI style commode opening with three drawers. 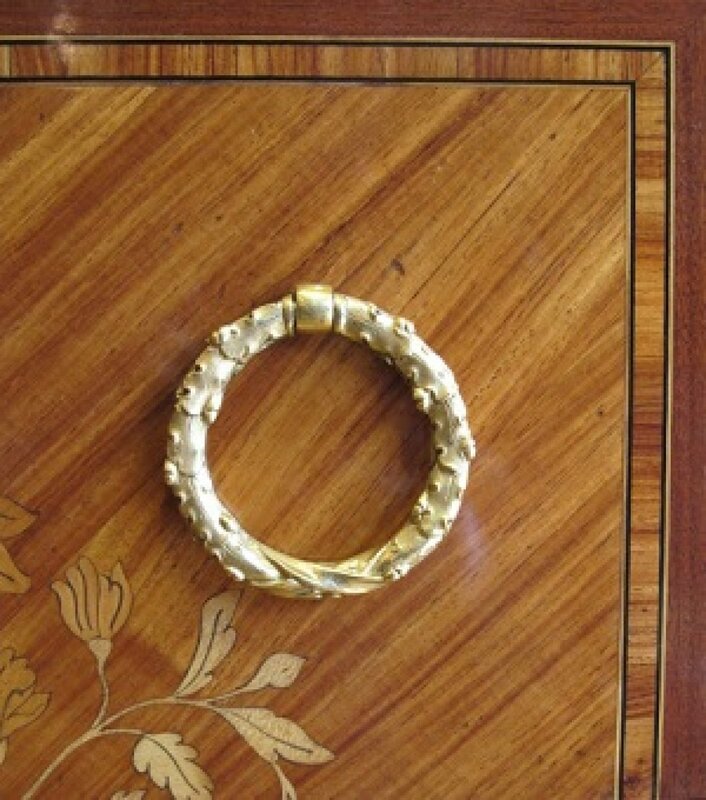 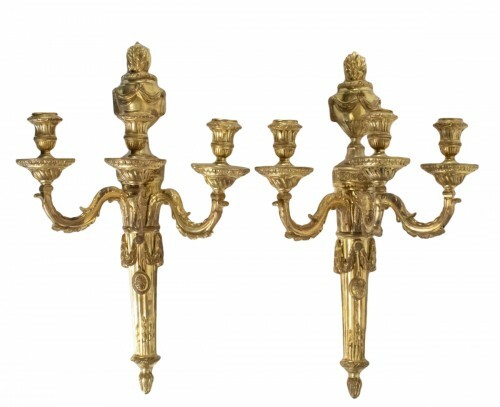 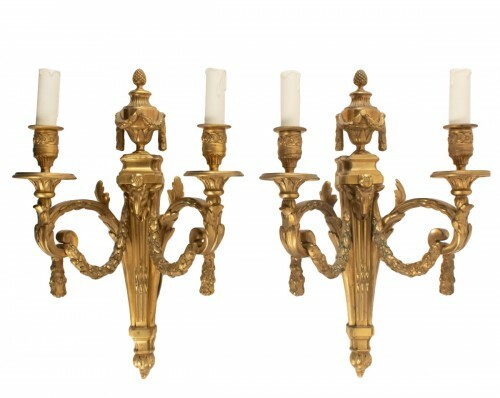 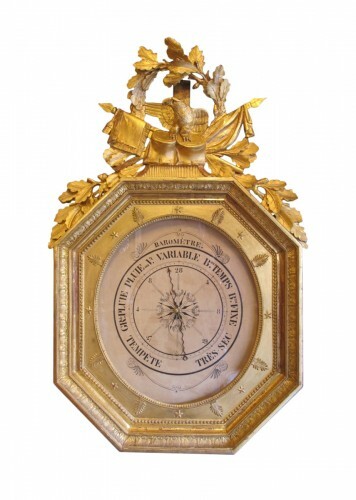 Ornemented delicately with ciseled gilt bronze. Wood marquetery in rosewood, amaranth, mahogany, boxwood and exotic wood. 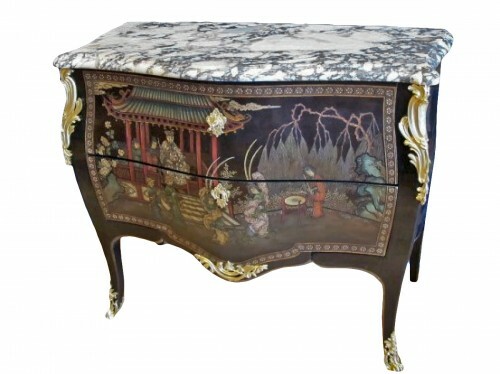 A Napoleon III period commode.